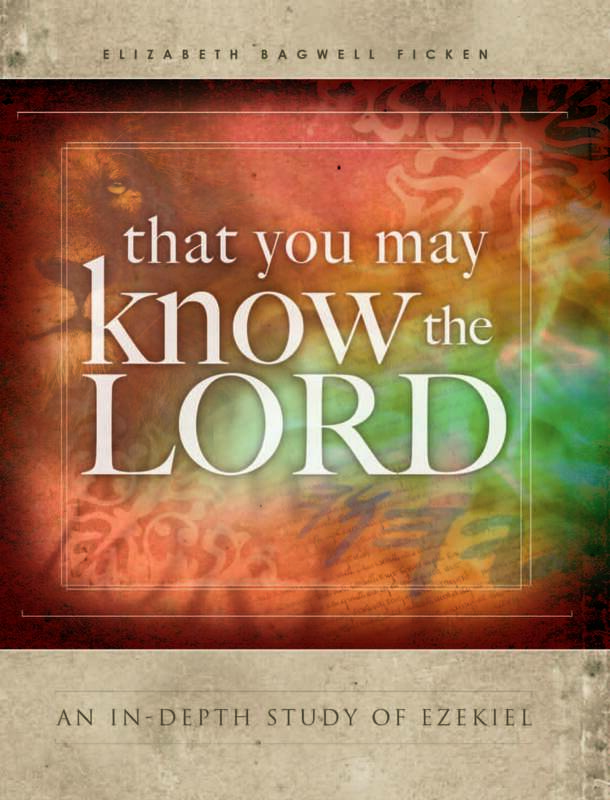 That You May Know the Lord | Study the Bible with me! Don’t miss this great book! This is study gives you step by step instructions to help you understand the Scriptures. The glory of the Lord. The destruction of the temple. The exile of the Israelites. The judgment of nations. The pouring out of the Holy Spirit. The Shepherd King. The Millennial Kingdom. These are the topics of the book of Ezekiel! As you study this intriguing book, you will be humbled by the holiness, sovereignty and glory of God; you will be challenged to examine your own lives as you see the sin of the Israelites; you will be inspired as you see the power of the Holy Spirit; and you will be excited as you anticipate wonderful promises to be fulfilled. This study will give you a better understanding of the past, present and future of Israel… and… as you consider the character and attributes of God, you will come to know Him as your awesome God who is faithful to His word and who is worthy of obedience and reverence. Explore the book of Ezekiel with me so that “you may know the Lord” more intimately!